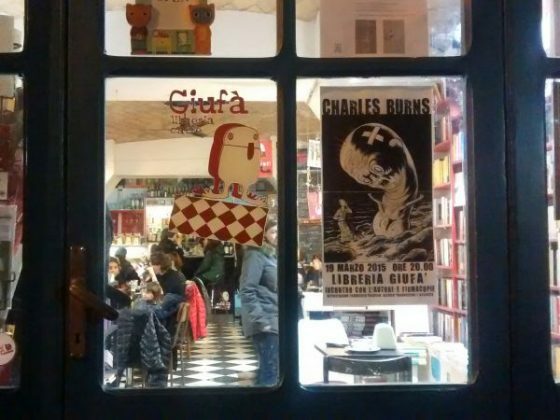 "Giufà" Rome is a small bookshop located in the heart of the San Lorenzo neighborhood that also has a cafe making a great place to spend the day as I like. The post Giufà – Library and cafè appeared first on Spotted by Locals Rome. 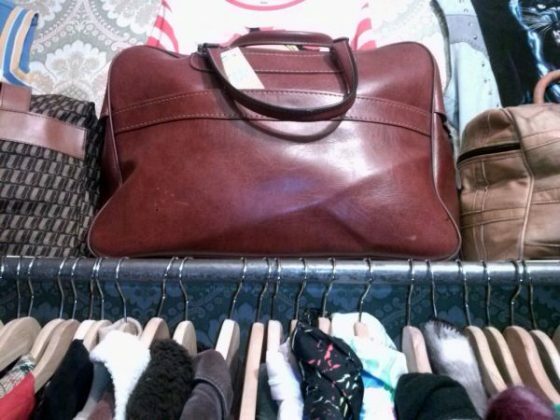 The post Vintage in San Lorenzo – Cheap shopping appeared first on Spotted by Locals Rome. San Lorenzo is a university neighborhood where you can find a lot of different nice shops. Two of my favorites are in via dei Volsci 101 B and 101 D. These two little shops sell a lot of vintage items, from clothes, both for women and men, to sunglasses, leather bags and fake fur coats. If you like vintage fashion, like I do, you will surely find something unmissable in one of these shops. They have very particular items, all in good conditions, but, what I like the most, is that you can still find something cheap, nice and pretty! The vintage shops in Rome are always becoming more expensive but these are still affordable. They are really close to each other so you will see a lot of people going from one to the other and even if they should be competitors they don’t seem to be. So if you are doing a tour in the area don’t miss them! 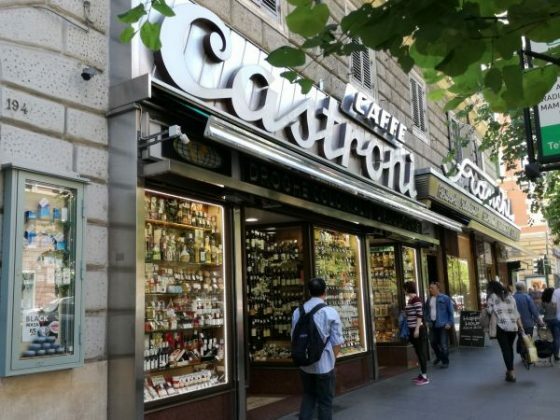 "Castroni" in Rome has been in this spot since the '30s. It's a big grocery store where our grandmothers go to find what they miss for the perfect meal! The post Castroni – Food from the world appeared first on Spotted by Locals Rome. If you are a typography lover as I am, you should enter this shop just for its sign! It represents its logo and immediately brings you back to the past (even though this shop was born way before its actual sign!). Castroni has been in this spot since the ’30s. Over the years it has became bigger and bigger and nowadays it is quite huge. Every time I enter I can’t avoid looking around and browsing through all their shelves to find the right ingredient that I miss to make my last cooking experiment perfect – this shop is just about food, all kinds of food from all over Italy and almost from all over the world. This is the shop where all the Roman grandmothers go if they are looking for something special to cook! By the way this spot has a huge plus: it has a bar that serves, among other things, one of the best coffees in town. The secret of their coffee is the coffee itself. They have their own production and if you want to have the same taste at home you can also buy it in beans. Each time I came here, their counter is a stop that I can’t avoid… because they only serve you at the counter, easy and fast! "Kokoro shop" is one of my favorite stores in Rome. They sell handmade, uncommon clothes designed by a very talented fashion designer. Girls only! The post Kokoro shop – Handmade clothes appeared first on Spotted by Locals Rome. Kokoro shop is one of my favorite shops in the city. They sell handmade clothes designed by a very talented fashion designer. They have a lot of stylish clothes (dresses, shirts, skirts…) and some accessories, all made with very nice materials. Since they made it by hand, sometimes they only have items in one size…so you have to be lucky! The historic location is in Monti, in via del Boschetto. It’s a very nice and cozy shop, with very kind and helpful shop assistants… if you are in doubt don’t hesitate to ask them, they will know the better way to wear what you have chosen. Kokoro is the perfect place to buy uncommon clothes. You will find the real Italian fashion at good prices. Sometimes they have special offers and I used to check them on their Facebook fan page. Just one piece of advice for the guys: it’s only for girls!